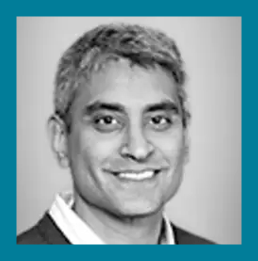 Sanjay Malkani deployed over $1 billion in strategic capital executing a roll-up of toxicology assets as Global President of the Toxicology division of Alere, Inc (NYSE: ALR) between 2008-2018. His leadership resulted in a greater than 50% return on invested capital associated with this capital deployment, realization of significant growth and cost synergies across biologics, manufacturing, lab services and SaaS platforms, and the formation of the sustained Global leader in diversified toxicology products and services. As a member of the Executive Team of Alere, Inc, Sanjay supported the 2017 acquisition of Alere by Abbott Laboratories, Inc (NYSE: ABT) for $5.3 billion. Sanjay previously held successive executive and commercial leadership positions within the Point-of-Care Diagnostics and Diabetes divisions of Roche Diagnostics, Inc. and within the Specialty Chemicals division of Dow Chemical, Inc. He holds an undergraduate degree in Engineering from Purdue University (1991) and an MBA from the Kellogg School at Northwestern University (1998).